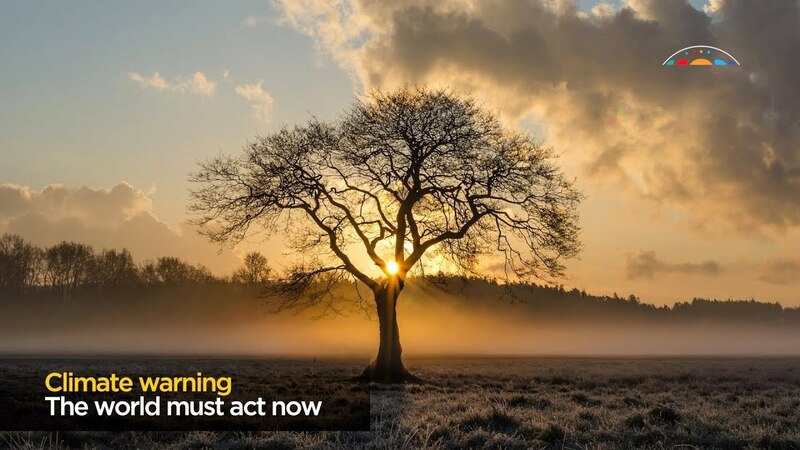 The Intergovernmental Panel on Climate Change (IPCC) released its highly anticipated report Sunday on what needs to be done to limit global warming to 1.5 degrees Celsius above pre-industrial levels. The answer: social and technological change on a scale for which "there is no documented historic precedent," The Washington Post reported. The IPCC, a UN body formed to give policy makers accurate scientific information about climate change, was asked to prepare the report as part of the Paris agreement. The final draft included the work of 91 researchers from 40 countries and cited more than 6,000 scientific resources, the Huffington Post reported. It was released following a summit in Incheon, South Korea. The report offers a narrow window for rapid climate action: By 2030, emissions would have to fall to 45 percent below 2010 levels. By 2050, all or nearly all coal burning must stop. "It's like a deafening, piercing smoke alarm going off in the kitchen. We have to put out the fire," UN Environment Executive Director Erik Solheim told The Washington Post. While the report laid out the difficulties of limiting warming to 1.5 degrees, it also reinforced the importance of doing so. Allowing the planet to warm a full 2 degrees, the upper limit set up by the Paris agreement, could have devastating consequences. Prevent 10 additional centimeters (approximately 4 inches) of sea level rise. Lower the chance of ice-free Arctic summers from once-per-decade to once-per-century. Prevent permafrost thaw in an Alaska-size chunk of the Arctic. Limit the die-off of tropical coral reefs to 70 to 90 percent instead of 99 percent. Save hundreds of millions of people from climate risk and poverty by 2050. "1.5 degrees is the new 2 degrees," Greenpeace International Executive Director Jennifer Morgan told The Washington Post. Limiting warming to 1.5 degrees would also require technological innovation. The percentage of electricity the world gets from renewable energy would have to increase from the current 24 percent to 50 to 60 percent within the next decade. Transportation would have to rapidly increase its transition to electric vehicles and fossil fuel plants would need to be equipped with carbon capture and storage technology to prevent greenhouse gas emissions from entering the atmosphere and then store them in the ground. The report also calls for converting land from agriculture to forests for carbon storage, and an untested technology called bioenergy with carbon capture and storage, or BECCS, which works by growing crops for energy, then capturing the carbon and storing it underground. Experts agree that ambitious negative emissions strategies require international cooperation on a massive scale. "Even if it is technically possible, without aligning the technical, political and social aspects of feasibility, it is not going to happen," Center for International Climate Research in Oslo Research Director Glen Peters told The Washington Post. "To limit warming below 1.5 C, or 2 C for that matter, requires all countries and all sectors to act." But that kind of cooperation has been made more difficult by the decision of U.S. President Donald Trump to withdraw the high-emitting country from the Paris agreement. "Today the world's leading scientific experts collectively reinforced what mother nature has made clear—that we need to undergo an urgent and rapid transformation to a global clean energy economy," former U.S. Vice President and climate action advocate Al Gore told CNN. "Unfortunately, the Trump administration has become a rogue outlier in its shortsighted attempt to prop up the dirty fossil fuel industries of the past. The administration is in direct conflict with American businesses, states, cities and citizens leading the transformation." <span style="display:block;position:relative;padding-top:56.25%;" class="rm-shortcode" data-rm-shortcode-id="1UPSBZ1555993021"><iframe lazy-loadable="true" src="https://www.youtube.com/embed/I6Z5JpsItEs?rel=0?enablejsapi=1" width="100%" height="auto" frameborder="0" scrolling="no" style="position:absolute;top:0;left:0;width:100%;height:100%;"></iframe></span><p>Mayer said his department was working with the Riverside County Sheriff and the District Attorney's office to build an animal cruelty case against the woman.<br></p><p>"There is no excuse for dumping puppies," Mayer said. "Especially in today's age when we or other shelters would be willing to get these animals to foster parents or rescue partners. This was a shameful act. "</p><p>The puppies, which are believed to be terrier mixes, were initially cared for by the department's veterinary team. Southern California group <a href="http://meoowzresq.org/" target="_blank">MeoowzResQ</a>, which normally specializes in cat and kitten fostering, has agreed to take over their treatment. The puppies need to be bottle fed and closely watched for a few weeks, <a href="https://www.newsweek.com/woman-caught-video-tossing-plastic-bag-full-3-day-old-puppies-near-coachella-1402289" target="_blank">Newsweek reported</a>.</p><p>The department emphasized that there is never any need to abandon puppies, Newsweek reported. There are shelters open on weekdays in the county which have re-homed around 5,000 dogs between 2017 and 2018, according to department data.</p><p>It is not yet known how severe a penalty the woman will face for her actions. California animal cruelty laws allow for both misdemeanor and felony charges.</p>According to the <a href="https://www.humanesociety.org/resources/pets-numbers" target="_blank">best estimates</a> of the <a href="https://www.humanesociety.org/" target="_blank">Humane Society of the United States</a>, six to eight million cats and dogs enter shelters in the U.S. each year. Around four million are adopted from shelters annually, and sadly three million are euthanized. Of those euthanized, around 2.4 million were healthy and could have been treated and adopted.